You know it's really holiday season when collections are being brought out, especially with nail collections. 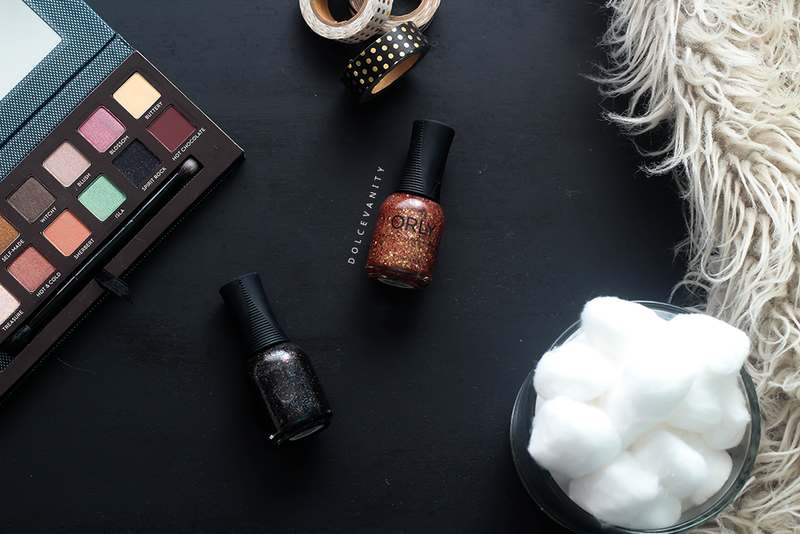 ORLY this month are releasing the Infamous Holiday Collection. The two that I have are Frenemy & Gossip Girl which are glitter finishes. 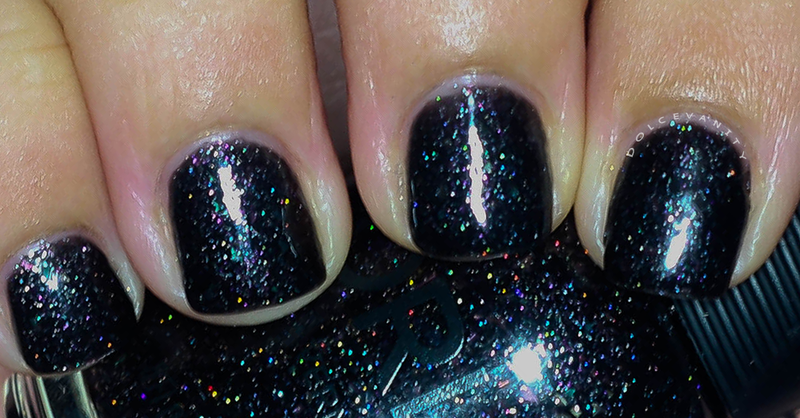 Frenemy is a dark grey jelly slightly black with holo microglitter and iridescent flakes. When I first apply it the coverage is mediocre, it needs at least three coats to get an even coverage but then you get this bold colour with subtle glitter running through. The flakes aren't too prominent and I only got a large flake on my thumbnail but if you get them near the nail edge it'll make tidying up a little hard. This was my favourite shade. Gossip Girl is very festive nail polish, described as an opulent bronze glitter it has very fine gold and red microglitter that give a blend of colours with gold hexagon flakes running through it. Alone (reference above) it's the same as Frenemy it needs at least 3 coats (see below) for good coverage and be wary of the flakes sticking out at the nail edge. The flakes may poke out near the edges meaning that any catches on material could impose a messed up manicure and it makes tidying up around the nail edge not as clean. Although I've found it not to happen all the time and unlike other glitter polishes it's not so rough before a top coat goes over the top. This doesn't have a top coat but look at that reflection strobe. Applying both polishes were smooth, the gripper cap as always makes it great to hold for a non-slip application. I found Frenemy to have more of a lighter texture from the bottle, almost watery but don't be put off by this as it's easy to build but just make sure each layer is near to dry because it's a jelly finish I found that if you just blop it on the finish can be a little '3D'. ORLY polishes are free from DBP, Toluene and Formaldehyde. Gosh, I'm such a sucker for glitter nail polish!! Gossip Girl is gorgeous! 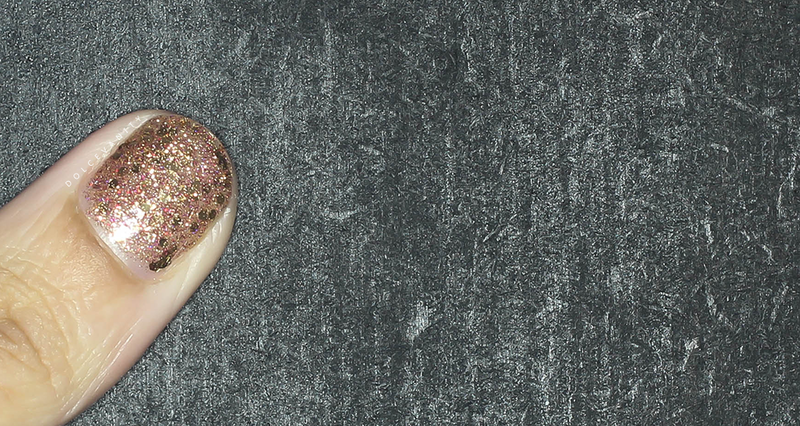 Nothing says I'm a fab girl like glitter!